As morning comes to Westhaven and all its denizens begin to venture out of their homes and flood the streets they are all greeted by an atmosphere of cheer and merriment. Another year has passed and it is time to celebrate the coming of the new one. And what better way to do that, than with tasty food, good drinks and jolly games. And of course, a talent show! Three tables are arranged in front of a stage and you can see a crowd of gatherers surrounding the tables in a semicircle. A tall, blond woman venture closer to see what the hubbub's about. From her vantage point, and even with her height, she can just make out the voice of one of the people sitting behind the closest table. A lovely plump, middle-aged woman with ruddy cheeks and brilliant smile. "Yer ta be new ‘ere then lassy. If ya have nae heard of da Talent Gauntlet." The woman burred in her thick accent and jolly voice. "Why 'tis a talent gauntlet innit now. Says so on da banner, dunnit. If ye be wantin' ta now more, read this ‘ere." She adds giving a piece of parchment to the tall blond, who looks like she'd just arrived at Westhaven and had barely dipped her toes in the ocean that was the West Marches. Other adventurers follow suit and ask the ruddy attendant if they can have one of those parchments with instruction. "O’ course, deary!" She beams and hands the next in line their very own roll of parchment. "Do look at da board fer the wild-card talents and the prizes ye might win if yer good enuf." After the registration of all contestants is done the attendants ask all the participants to enjoy the fair and return at high noon when they will find the stage set and the order of their appearance announced on a black board near the stage. Nuts and Bolts OOC So here’s the nuts and bolts of it, folks. Whatever was left unsaid IC or remained unclear from the flavor of it all, you guys need to come up with four talents/skills for your character and declare and register them IC. They need to be non-combat and based on one of your attribute scores (STR, DEX, CON, INT, WIS, CHA). Since it is a thing you’re good at you get to add your proficiency mod on top of your STR, DEX, CON, INT, WIS or CHA mod to the roll. You aim to please the crowd, which mechanically will translate thus into DCs. You get 0 points on a result of 9 or less, 1 point on a result of 10-11, 2 points on a result of 12-14, 3 points on a result of 15-19. And 5 points on a 20+ result. You are not allowed to use or give the Help action, use Bardic Inspiration, Guidance, in short any spells that would boost your roll result. If you decide to use one of the wild-card talents in place of one of your own, you need to use their rule set. You can add only your STR, DEX, CON, INT, WIS, CHA mod to the roll as indicated in the description of the talent. And you will need to choose one of the four DCs. Fail that and it’s a fail period. Even if you roll well enough for one of the lower DCs. Once again, no help actions or spells can be applied to the roll. I encourage you, if you decide to use these at all, to not necessarily go for the check your character will be good at. Make it fun and cooky. Don’t be a prize whore! So come up with some cool, funny, ridiculous, absurd talents and let’s mix it up! I would recommend you roll prior to posting in the general West Marches rolling thread, so that you know the outcome of your performances and link your rolls in an OOC fieldset. It would be easier to compile your posts that way. And once all participants have posted, we’ll tally the points and you guys will be rewarded for your characters’ thick skin and expertise in performing their chosen skills. Oh, and the wild-card talents have some additional boosts you might get if you’re lucky enough to roll nat20 on those. And, yes, there’s some nat1 consequences as well. But those will be mainly for lolz and a flavor. Remember! The purpose of this is to have some fun with our characters. Practice our writing, or boast our writing chops, whichever. So I encourage you to write your heart out. No one’s rushing you. You are not constrained by a posting rate where a short post is better than no post at all. Take your time, let the story come to you and share it with us Most of all… Have fun! CON check - Spinning Top: 25 spins, DC 10, 1pt; 50 spins, DC 12, 2pt; 75 spins, DC 15, 3pt; 100 spins, DC 20, 5pt. If you fail the DC with less than 5 you spin out of control and end up on the ground. With more than 5 you lose your meal. If you roll a nat20 you get a temporary boost to your balance and spatial awareness - +2 to your Acrobatics skill for the next adventure. On a nat1 you get stuck with the nickname 'The Vomit Comet' for who knows how long. DEX/CHA chek, your choice - Tie the Knot: 60 seconds, DC 10, 1pt; 45 seconds, DC 12, 2pt; 30 seconds, DC 15, 3pt; 15 seconds, DC20, 5pt. If you fail the DC with less than 5, time runs out on you and you spit out a loose knot that quickly unfurls into knothingness. With more than 5, you cut your tongue on your teeth. If you roll a nat20 you get a temporary boost to your charisma - +2 to your Persuasion for the next adventure. On a nat1 you knot only cut your tongue, you fatigue it right and good and swallow the cherry stem on top of it all. You get to walk around in town for who knows how long with the moniker 'Tongue-tied'. STR Check - Crack that Nut: Walnut, DC10, 1pt ; Peach pit, DC12, 2pt; Pecan Nut, DC 15 3pt; Cherry pit, DC20, 5pt. If you fail the DC with less than 5, instead of the nut you crack a silent but very odorous fluffy. Who did that?! With more than 5, the nut is hollow and bloodies your fingers as it splinters. On a nat20 you strike a very intimidating figure cracking nuts between your fingers - +2 to your Intimidation for the next adventure. On a nat1 you crack a very loud, very obvious and very odorous fluffy and get stuck with the moniker 'Fluffynutter'. INT/WIS check, your choice - Pull my Finger: 32 seconds, DC10, 1pt; 24 seconds, DC 12, 2pt; 16 seconds, DC 15, 3pt; 8 seconds, DC 20, 5pt. If you fail the DC with less than 5 you knock poor Blubbergut over and unconscious. With more than 5 you knock yourself out cold with your frantic flailing. You don’t know if Blubbergut kissed you or not while you were out. On a nat20 in your horror and zeal to not get kissed by the village drunk you tear through the finger torture device with brute strength and get +2 to your Survival for the next adventure. On a nat1 you trip and stumble right onto the lips of Blubbergut. For weeks upon end you can hear the townsfolk singing the 'Kissing in a tree' song whenever you pass them by. Last edited by ihinka; 02-12-2019 at 02:26 AM. Kova was considering the wisdom of her choice to enter the Talent Gauntlet. But since it was in the spirit of merriment and joy she’d asked for the instructions parchment. The Marches were harsh enough and the people needed activities like these to release tensions. And even though she was never one to seek the center stage, Kova felt that if people were to entrust her with tasks and quests, they would be more inclined to do so if they knew her a bit better. Even if through the prism of laughter and comedy. 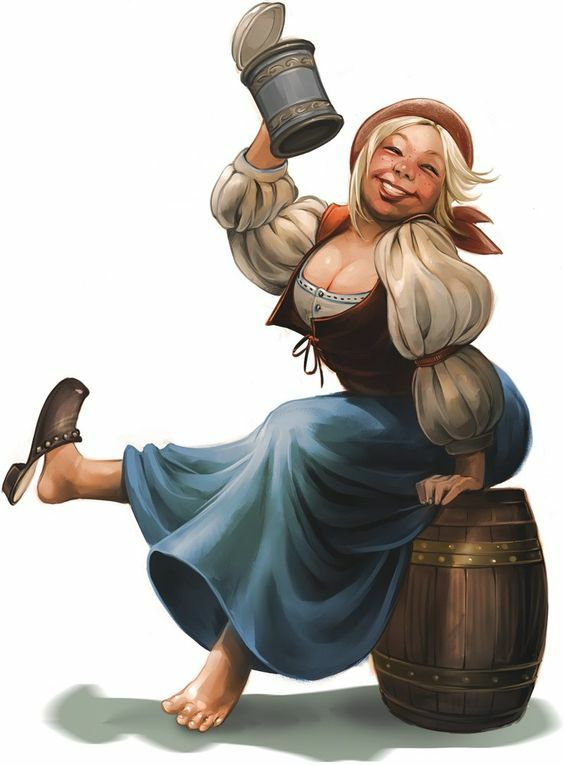 So she needed to decide what she would perform for the good people of Westhaven and all the other adventurers gathered there. Closing her eyes she tried to think on the things she was good at. Obviously she couldn’t use her craft as a talent. Since crafting items took time and a lot of preparation. It needed to be something that could be demonstrated with the result being immediate. Or almost that. As she went deeper into her own thoughts a hum escaped her lips. The melody was sweet, but filled with longing. And when the blond opened her mouth to sing the first word, her eyes snapped open as if she’d had an idea. The crafter mumbled, absentmindedly running both hands over Raja and Ro’i’s heads. The two dogs were in doggy heaven for long seconds, when the petting ceased and Kova loomed over them, grinning. “Guess what, guys. I figured out what I’m gonna do for my third talent. And you both are helping.” The dogs looked at her with expressions of ‘ugh, do we have to? !’ “Yes!” Kova assured them, nodding with a happy gleam in her eyes. She stood up, both Ro’i and Raja following suit, and headed towards the town square where the stage for the Talent Gauntlet had been set. She didn’t have to come up with a third talent. One of the wild-card ones, announced with the rules and instructions for the Gauntlet had caught her eye. It was, in fact, what had spurred her on this impulsive adventure of sorts. It was something Kova’d discovered purely by accident she was able to do and when she read it on the black board she’d been unable to resist. Still the crafter felt a bit apprehensive about displaying herself before presumably the entire town. But as she observed Raja and Ro’i walking calmly on each side of her with their powerful, purposeful stride, it gave the nervous blond a bit of confidence. “Well, I went and registered. Guess there’s no backing up now.” The tall blond muttered as she approached the stage and a human sized black board that already had a bit of a crowd gathered around it. The crafter approached and didn’t have to push her way through the crowd. From her height she could see perfectly well her own name plastered right their in first place. Kova felt queasy as s he gulped the tiny ball of terror that was stuck in her throat. With slumped shoulders she sought out one of the event’s attendants and announced herself as the first participant to compete in the Gauntlet. It was the plump woman from before who took one look at Kova and tisked. “Oh, come now, deary! It’s nae like yer walkin’ ta yer own execution. Come, come! Let ol’ Finnula take care o’ ye!” The plum woman’s head barely reached Kova’s shoulders, but she took charge of the tall crafter and ushered her away to someplace behind stage. Kova stepped timidly on stage. She glanced back at Finnula who was shooing her further onto the stage. 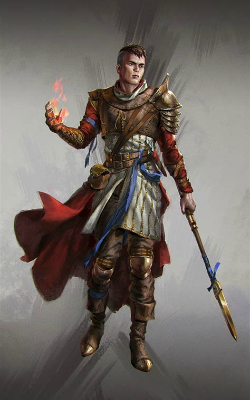 The tall Genasi nodded and with hands curled into tight fists took her place center stage. A significant amount of people had gathered in front the stage to observe the performance of those brave enough to enter the Talent Gauntlet. I wonder if it’ll really reach them. Kova thought as she touched her throat subconsciously. But the old wizard had assured her that the spell would work just fine once she opened her mouth to speak. Kova took some time to compose herself and allowed the emotions of the song and what it meant to her to wash over her. Vio, her adoptive mother, had always told Kova she had a lovely singing voice with a smoky, raspy timber to it. And not just Vio. Black is the color of my true love’s hair… Kova sang, her voice carrying over the gathered crowds thanks to the thaumaturgy spell. Her lips are like some roses fair… The sorrowful, haunting song continued and just as the crafter was taking her next breath an errant fly got sucked into her airway, choking the poor performer. Finnula shot onto the stage and joined the double up Kova to pound on her back. It took Kova a couple minutes and a glass of honeyed water to calm down and move on over to her second act. “Sorry about that, folks. Now for my next act I’ll demonstrate something that I learned while living with my clan. It was sometimes used as a form of signalling for our foragers and hunting parties to inform them of the direction the clan has headed. For me it was a way to relax and find balance and inner peace.” Kova felt a bit apprehensive thanks to the singing incident, but the moment the stones were brought on stage, her mind cleared and her soul centered. The audience fell silent, curious as to what the tall blond was about to do with the five or six stones in varying sizes. From the smallest to the ones the size of a pumpkin and bigger. For the next fifteen minutes the crowd watched transfixed, barely breathing, as the crafter placed one stone on top of the other in the most peculiar positions. Whenever she would place a stone a hush would wash over the gathered multitude as if they were expecting the stone to tumble and fall because of the weird way the woman was placing it on top of the others. But it never did and sometimes Kova would search for the right position for it for minutes on end. And the crowd would move forward as a whole as if at the edge of their seats in anticipation and breathe a quiet sigh of relief when the stone stayed in place. There were a couple of close calls and some of the stones did tumble out of place only to be expertly snatched in mid air before falling onto the stage by Kova’s practiced hands. The end result was mesmerizing and almost gravity defying. And when the blond stepped beck and raised her hands in the air to indicate she was done, the crowd exploded into excited cheers and applause. As the stones were being carried off stage with Finnula commenting about how it was a damn shame to ruin that piece of art, Kova made a signal with one hand and Raja and Ro’i bounded onto the stage and sat obediently on either side of their human. “Now for my third act I’ll demonstrate some dog training techniques to you lovely people with my two buddies here, who I rescued from some bad people out in the Marches. This here are Ro’i and Raja.” Kova introduced the two dogs and without further ado jumped into the demonstration. She led them through the more simple commands like ‘sit’, ‘stand’, ‘lie down’, even ‘shake’ and the crowd applauded and cheered quietly, not overly impressed so far. Its interest was peaked however when Kova moved onto the more complex commands. The ‘search’ command was a bit tricky to demonstrate in public in such a short notice, but Kova managed. To the giggling surprise of Finnula when the two togs came sniffing in her skirt pockets where their owner had stashed without the woman’s notice a couple of Ro’i and Raja’s treats. The thing that really had the audience going was the demonstration of the ‘attack’ command. A stable boy had volunteered to assist Kova in return for lessons on training dogs. The crowd burst out laughing as the lad stepped onto stage with difficulty, wrapped into at least three layers of gambeson. Body, legs, arms, the works. “Ready, miss!” He’d squeaked nervously, assuming the position Kova’d taught him. She nodded to him and with a curt ‘Attack!’ sent Raja flying towards the boy. To his credit he did not yelp and stood his ground, arm wrapped into thick gambeson extended for the dog to bite. Raja latched onto the arm and brought down the bow in two seconds flat. “Release!” Kova shouted and the dog did so, but only after shaking the boy two-three times. The crowd exploded into cheers as the blond helped the lad up while Raja and Ro’i were busy covering his face in slobber. The few stumbles and hiccups during the demonstration quickly forgotten as it had been an enjoyable performance overall. From both the dogs and their trainer. And the lad that had volunteered to help as well. “And now, dear folks...” Kova continued on with a tiny, devilish grin on her lips, spurred by the confidence from the previous two performances. “Since we are gathered here to make merry, I’ve selected one of the wild-card talents the organizers of this event have come up with to try and entertain you for the fourth and final time.” The crafter paused a bit to wait out the crowds cheers and laughter. “I knew I wanted to try it when I saw it written on that board over there since it is coincidentally something I’m good at… Well… usually.” Kova finished with a tiny chuckle. “For my fourth and final act, dear crowd, I shall attempt to Tie the Knot. In fifteen seconds!” Kova announced and the crowd cheered at the top difficult selected by the contestant. The cherry stem was carried to Kova as if it was a victory torch and presented with flourish. The blond accepted it and showed it to the crowd before putting it in her mouth. Catcalls and whistles flew in her direction from the crowd. Kova tried to ignore them and focus on the task at hand. She knew the movements needed to tie a know by heart and she’d done the exercise often enough to be practiced in it. But just as she was finishing the loop her eyes fell on a dark, petite lass in the crowd making bedroom eyes at her and the crafter lost concentration and instead of finishing the loop bit her tongue. Hard! Her jaw stopped moving and Kova spit out the bloodied stem in her palm. “Oh, well...” The blond chuckled and wiped the blood off her chin as the audience was laughing wholeheartedly at her failure. “Thanks for being a gracious audience in enduring my attempts to keep you entertained, folks. Please, give a big round of applause for the next contestant and Happy New Year!” Kova yelled lisping her words before walking off the stage, Ro’i and Raja following close behind. “Ye did fine, lass! Just fine.” Finnula patted Kova on the shoulder with a big, warm smile on her ruddy face. OOC If you are unsure how to proceed with this, please feel free to follow Kova’s suit. Don’t feel obliged to go into minute details in describing your performance, but do remember the goal of this is to flex our writing muscles. Don’t just do the bare minimum to get to the prizes. Have some fun with your writing. Last edited by ihinka; 01-29-2019 at 03:25 AM. Bruddren smiled widely at the crowd as the genasi named Kova timidly went off the stage, comforted by her plump human woman companion. This be th' perfect time to showcase me arts fer th' glory of Tharmekhul! As the stagehands set up what looked to be a magically powered stove, the dwarven cleric adjusted his chef's hat for the last time and waved at the applauding crowd. In his left hand he held a wide, circular item made of what looked like black, sturdy steel; it vaguely resembled a shield. "Good people of the Marches! 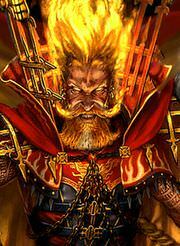 Bruddren Bridgeburner at yer service, faithful of Tharmekhul! Now I kno' yer feelin' a wee bit hungry after th' first performance, so fer my first act, I'm makin' a li'l snack fer all o' ye from back home! I call it: The Flamin' Furnace!" With a flourish, Bruddren placed the item he carried on the now blazing-hot fires of the magical stove. It was then that the crowd realized what he carried was no shield at all, but a wok! With some expert flips and tossing, the dwarf cooks some manner of vegetables and bits of meat that no one could really identify from where they sat. One thing was sure, however: the smells of freshly stir-fried food filled the area not only with salivating aromas, but oohs and aahs from the audience as well. In a matter of seconds Bruddren is done, and he pours the contents of his finished meal on to several plates that were distributed to the crowd. "Hmm, this isn't bad at al- HAAAAAAH! HOT! HOT! HOOOOTTT!" "Aye, there's some homemade dwarven chili paste there that'll melt yer boots off, but it's quite a hit with the miners back home!" The effect on the audience was less than he anticipated; apparently this crowd didn't have the same tastes and preferences as the folks where Bruddren had come from. Still, the cleric was still determined to go on. "Ah hope yer enjoyin' th' fine, dwarven cuisine, folks! An' while ye wolf down me dish, here's me next act!" The cleric claps his hands and a stagehand produces a long rod of ordinary steel. "Now I be needin' a volunteer fer this. Ye, lad! Yes ye, with the snot on yer nose! What's yer fave'rit monster?" The poor child took long enough to recover from his surprise and wipe the dripping mucus with the back of his hand to shout: "A hydra!" "Hydra it is! Watch folks, as Mr. Bruddren here turns this piece o' metal into a stunning work of art, thanks to the powers bestowed upon me by Tharmekhul, the god of the Forge!" The cleric than proceeds to shape and fashion the thin metallic rod with his bare hands, pausing at certain points for showmanship and added effect. The audience clapped each time, and when he was done, there was a veritable cacophony of applause. "Hah! Uncanny resemblance, if I say so meself! Here, kid! Enjoy yer hydra!" More applause followed that, and Bruddren grinned widely at his great success. Now for me next act. "Now ye know dwarves tae be hardy folk, but lemme tell ye, Bruddren is harder than most! Watch and wonder as I eat the very FLAMES off of these torches!" Some mutters of confusion started out from below, but the dwarf paid them no mind. He retreated farther back into the stage then came right back holding two lit torches. With some fluid from his mouth that he was gargling, he blew at one and produced an impressive blaze, much like the fire eaters from fairs and carnivals. This elicited the response he wanted, so Bruddren proceeded with putting the flaming heads of the torches in his mouth then belching it out, to the laughter of the audience. After a few torches, however, he found that he couldn't really belch as loudly as first had, and he was losing the crowd's interest. "Wait, there's more! For me final act, the spinning top! For all o' ye I shall attempt A HUNDRED SPINS!" Hoots and shouts from the crowd ensued, and once again they were stirred into a frenzy. Some of them were yelling, "Get on with it then, dwarf!" And so, Bruddren, in his zeal for Tharmekhul and desire to impress and be beloved by hundreds, found himself spinning like a top (and like a fool) on the stage of that New Year's Festival, attempting the impossible. For his case, and for the unfortunate sight of all who witnessed it, it proved indeed an impossible task. At a mere twenty spins, Bruddren started getting dizzy, and could no longer keep up his momentum. Still trying his best to whirl and twirl and spin like a winner, he instead ended up belching the loudest burp he had done that day yet, which was immediately followed by him throwing up the contents of his belly onto the stage. Those who were still eating the meal he had prepared promptly lost their appetite. In the end, Bruddren was ushered down by his devoted stagehands, following the raucous laughter, jeers, and whoops of the audience. A healing potion, and a 10gp voucher for my last point. Last edited by Tinuviel; 01-29-2019 at 03:03 AM. 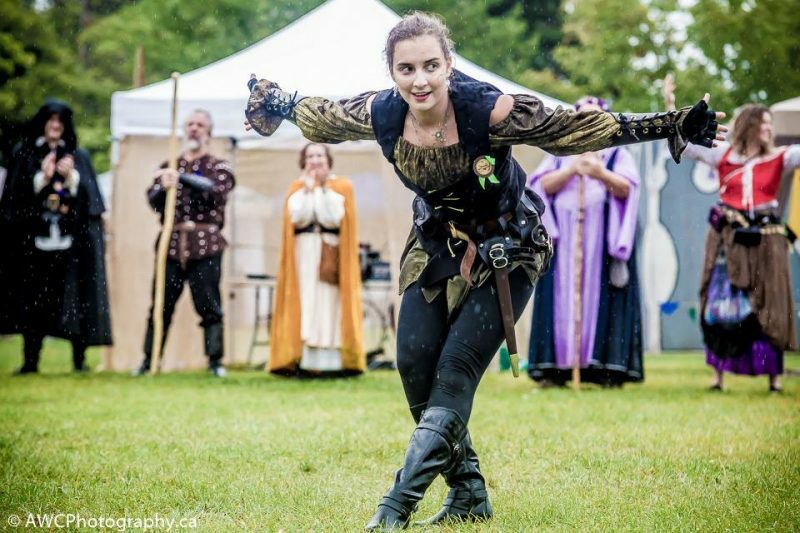 Rolen, the only one who applauded when Jehan attempted to make a dramatic entrance at the On Your Shield Inn before a tough crowd of adventurers who weren't easily impress, had suggest that Jehan try her luck performing in The Talent Gauntlet at the New Year's Festival. Her background being that of a gladiator, Jehan was something of a performer, so the idea certainly appealed to her. She decided to sign up and hoped to put her best foot forward. Gissette heralded Jehan once again as she entered the stage. This entrance was more dramatic as she did a series of tumbling which consisted of back handsprings across the stage. With a flourish, Jehan ended by doing a handstand and holding her body upside down vertically. After about 18 seconds, Jehan went over and landed on her feet. Immediately, she transitioned into an impressive backflip and stuck the landing impressively. Jehan invited three of the men nearby to come up on the stage to wrestle her in order to show off her athleticism. The first of the men was caught off guard by Jehan's strength. She was quickly able to take him down and get the pin. The next man who stepped into the ring gave her some problems. She hit a slick spot with her foot, which caused it to slide. The man got the advantage and scored a take-down. Jehan struggled as the man maintained top control. As he tried to flip her onto her back to get the pin, Jehan was able to initiate a scramble which allowed her to get a reversal, put his shoulders against the mat and pull off a come from behind win. The third man thought it was a bar brawl rather than a wrestling match. He came out swinging his fists. Jehan executed a level change and went for a double leg take-down that dumped him to the mat. Understanding the situation, Jehan applied a joint lock that forced the man to tap the mat in submission in order to ensure that she wouldn't end up pinning him only to have him get up and initiate a new series of attacks because he had wrestling confused with something else. The third portion of Jehan's exhibition involved riddles. She invited the members of the audience to try to stump her. She was hard to fool and good at uncovering answers. One by one, there were five audience members who raised their hands. Gissette called up a member of the audience to call on those who would pose a riddle to show that there were no plants stationed with predetermined riddles. Each time, Jehan was able to use her reasoning to puzzle out the correct answer to the riddle. This impressed a number of people and got the same amount of applause as her acrobatics routine. Jehan wanted the stage to swallow her up in embarrassment during the fourth and final portion of her exhibition. She was a skilled performer who had paid for her room and board many a night playing the lyre at an inn in one city or another. She spent a lot of time practicing and expected to cap things off with a flourish that would show the diversity of her talent. Unfortunately, she might have been too practiced. Her lyre suffered a catastrophic failure as a string on the instrument broke. That provided an unfortunately lackluster finish to an exhibition that had been going very well up to that point. Rolen strode onto the stage. The crowd remembered Rolen from his many performances at the On-Your-Shield and leading the West Marches Players. So, the audience was already warmed up before Rolen started. Rolen brought with him his new favorite instrument - the Instrument of Illusion. The final event worried Rolen, his stomach had never been the strongest. As well, he was well known in Westhaven. Failing this skill test would mean more than simply not winning a prize, it would mean quite a bit of humiliation for the next few months in Westhaven as everyone who saw him perform, would also remember his failure. Rolen was unsure whether it was his fear of failure and being called a name or the fact that he had faced down many a fell creature but he managed to do much better than he had expected. Rolen was a bit disappointed with his final prize - while goggles of Night Vision was a worthy prize, they were unfortunately of little use to the half-elf whose nighttime vision was already good. The light of the sun was already fading as Woke took his turn ascending the steps of the stage for the New Year Festival. He was a stranger in a strange land here, and he figured that it would be a profitable experience to join this event to get to know the people and be known himself. However, he had quite a different idea of "showcasing talent" than most folk. Before he ascended the final step to go on the platform, Woke stood still, concentrating. His arcane eye glowed purple, a sign that he was casting some sort of magic. Below, the people waited, those in the front rows straining their eyes and necks, looking for the next performer. What they witnessed next was some sort of fog emanate from the back of the stage. They could tell that this was part of the show, for there were no sounds nor smells; only the illusion of smoke. Clapping suddenly filled the air, and Woke decided that this was the time to enter. The wizard then resumed his act. He took some of the multi-colored beams, and with his hands fashioned each color into magical balls. They floated in the air in a line, suspended in mid-air; there were seven in all. Woke "took" the rightmost ball, then started to juggle it between his palms. It seemed like a boring performance, until one after the other, the wizard one more ball into the mix. The crowd was loving it, and they were eliciting the usual "ooh"s and "aah"s as each magical light ball got added into his juggling. As he was approaching the fifth, however, Woke seemed to notice a figure lurking in the back of the audience with his peripheral vision. It looked like a drow. With a sudden snarl, the gnome hurled all his magical balls at the direction where he saw the shadow, and the crowd gasped in surprise. When he came to his senses, Woke realized that it was simply a trick of the light. No one was there. At least, no one was there any longer. Did he just imagine it? Woke realized the crowd was looking at him in awkward silence, and with a perfunctory cough, he decided to move on with his performance. Woke simply moved closer to the audience, then closed his eyes. He thought of his home far away in the city of Damantur, beyond the eastern mountain ranges. He thought of his people, isolated and under constant threat of war. He thought of the prosperity of the people here in the Marches, and felt an intense longing to be home again. But he knew that he could not. He channelled those emotions instead into his magic; from the silence, soft, rhythmic beats started to drum. The audience sat on the edge of their seats, curious for what could come next. The gnome then opens his mouth a mite, humming the tune of a warrior song in time to the beat. 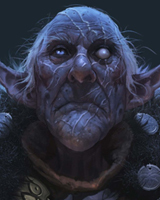 With his magic, more sounds were added to the drumbeat; one moment it was the shriek of a drow warrior, in another the angry cry of duergar. Woke relayed the history of his people in his song, though no intelligible words came out from his mouth. All the music came from his humming, the drums, and the occasional sound effect. Some of the onlookers had tears in their eyes when he was done, while others were asking, "Was that it?" Suddenly, from the side of stage, a seemingly inebriated man gets up on stage. In one hand he held a tankard of ale, spilling as he made his drunken way over to the gnome wizard. The crowd erupts in laughter as the man sputters and spills spittle as he talks. With uncharasteric speed, the drunken man drops his tankard to envelop the poor little gnome in his arms. "Oye, wha' a lovely li'l dwarven lass ye are! Tha' song was qui' toucin' aye it wa'! Now le' ol' Blubbergut ere welcome ye t' tha' Marches wi' frien'ly li'l riddle! Why don' ye pull me finger ere, aye?" The gnome, taken by surprise, struggles to get free from Blubbergut's bear hug. In his haste and terror, he accidentally bumps his forehead onto the drunken man's nose, to the delight of the audience. Blubbergut fondles his nose and lets go of Woke, but in the gnome's desperation to get away from the man, he tumbles down onto the ground below the stage head-first, knocking himself out cold. Hours later, the gnome wizard comes to at the local infirmary, and the last thing he remembered hearing were the raucous guffaws and whoops of the crowd. Not the way he intended to end his introduction to the town, but at least he survived. Magical Lightshow (Int): 21 - 5 pts. Juggling (Dex): 9 - 0 pts. Singing (Cha): 16 - 3 pts. Pull My Finger (WC, Int): 8 - 0 pts. Last edited by Hundur; 02-10-2019 at 09:04 PM. The stage was perfect. The timing impeccable. As soon as the performer turned adventurer stepped foot in West Haven, he had been greeted with word of a talent show. What better way for him to make a name for himself. The simple fact was that he was a ringer for such a challenge. Prizes and adoration, there was little more that interested Alder Castle. He called on his previous performances, collated a selection of his favourite talents and stepped out before an unsuspecting crowd. A thunderous boom emitted from Castle's stomp as he entered the stage. It hushed the crowd with shock and drew attention. Thunderclap was an old trick he had long kept in his arsenal for such a use. All eyes on him was a common mandate. "Ladies and Gentleman. I must apologise. Today you have been presented with amateurs. A selection of hopefuls who, with respect, were not worthy of your time. Well now you are presented with a main event. A tour de force. The culmination of your afternoon efforts as I prepare to astound you, surprise you, entertain you and set the bar. It is my only regret that I am limited to only four talents." Castle smiled and introduced his first talent. A poem. "To begin, what greater gift than my own voice." He chuckled, trying to warm the crowd to his arrogance. "But as matter a fact, this performance I dedicate to all of you." "Over the sea they travelled, and the storms did not phase them. Nor beast nor evil nor further upheaval, as they constructed this West Haven. Settlements may rise and fall, but the history here is long. Because the clans united here stand tall, and forever they stay strong. Human, Elf, and Dwarven kind, show no separation. Even Tiefling, Gnome and Dragonborn work hard with no exception. And hard work deserve just reward, whichever way it looks. And each of your contributions, will go down in the history books. So accept me as your humble servant, my presence here is luck. And raise a finger to any opponent, and shout "We don't give a...""
With a smile, Castle listened to the chorus of the crowd who finished his speech. An effective ending to empower the audience and leave them cheering joyously. They almost believed this was their own performance now and that would draw a high score. Moving on, a challenge for the onlookers. From his pocket he produced a sand timer. "My second talent, is your challenge. Ninety seconds is your opportunity, and to every finger that is laid on me, I forfeit..." He produces a pouch, and retrieves a coin. "One gold piece." With a quick flick, Castle upturned the hourglass and lay his pouch upon. Sand trickled down as the clock was now ticking. There was an awkward shift in the audience as people tried to gauge the validity of the offer and consider their worth. "Well come on. At least try to make this seem impressive." His words spurred a man to step forward from the crowd and try his luck. The first trick up Castle's sleeve was Longstrider, which he cast on himself promptly. But the rest would fall to his wits and cunning as the first contender rushed him. A simple duck and sidestep evaded touch. Castle undid his cloak and held it out, encouraging another bullish rush. As the floodgates opened several other on lookers joined the challenge, giving chase. Castle tossed up his cloak to cloud his nearest challengers vision, then using his pace, he began to outrun the challengers, zig zagging around the stage. For tension he would let some get close, then deftly avoid their capture. All the while he kept an eye on the timer, knowing what his big finish would be. With less than a third of the time left he began climbing a makeshift tower. Murmurs crawled through the crowd as he was effectively backing himself into a corner. Challengers scaled after him. "Look at the time, I would expect one of you to reach me before it expires," And one likely would, hot on Castle's trail as he ascended the wooden tower. As the man reached the peak, Castle moved to the opposing edge then drew gasps from the crowd as he tumbled off the edge. But before the fifteen foot drop was complete, he cast Feather Fall on himself and promptly cartwheeled through the air to land on his feet. Awe and cheers followed, as the Half-Elf casually approached his timer as time expired. He pocketed his coin pouch, no lighter than when he had placed it. "I honestly thought I was going to be bested." Of course, he never doubted it. Moving on, he called forward one of the previous challenges and proposed the idea of mind reading without arcane ability. "Take a coin, put your hands behind your back then produce with the coin in a hand of your choice which I will promptly identify." This wasn't Castle's best area of expertise, but he did know enough tricks to pull it off. For added showmanship, he donned a blindfold. "Make your first choice." The man did so. "Left!" And Castle was correct. "Again! Quickly!" A beat. "Left again!" Correct again. "Yes, predictable people do not change their mind. Again!" Another beat. "Of course now I've said that, you think I'll change my answer. But no! Left again!" The Half-Elf was three for three. "Again!" A moment passed. "Very good, it is time to change hand!" Amazement and applause sounded out as Castle's perfect score continued. "Your last one. Think hard on it. Would I expect you to change hand back because I caught your pattern earlier. Or am I simply saying that, to make you keep your pattern. Make a decision!" After a moment. "Left!" Castle didn't expect to hear laughter. He pulled off his blindfold and turned to the see the man with both hands out and open, but no coin. He had been tricked. It was infuriating. This mans joke had cost Castle his perfect performance. But he had to save face. He forced a smile. Then a laugh. "A round of applause Ladies and Gentleman. Well played." Not perfect but still impressive, Castle would have to take what little victory he could. On to the final task. Castle would take on the Wild Card. "Well that leaves me with much to prove. They say no man, or woman, can spin 100 times in a row without..." he paused and smirked, "making a mess. But I told you I would set the bar, and bring you the best so I embrace the challenge." There was perhaps overconfidence from Castle in this feat, but on the other hand his hard-headedness might help him endure. He poised himself, then embraced his acrobatic talents and began spinning on the spot continuously, with aim to redeem himself and out perform the competition. There wasn't a lot of thinking to be done. In fact, when he lost count of his rotations there wasn't much to be done at all. He zoned out and kept spinning with determination and ambition, believing in his ability and knowing only his body could fail him. His brain was shook and his stomach turning as he began to question how long he had been doing it. Then a round of cheers erupted. Could it be? He called an end, and stumbled around the stage for a moment before regaining some poise. There was still some spinning going on, but he couldn't tell if it was his mind or his soul. Neither was in sync. But the verdict was clear. 106 spins. "Thank you. Thank you." He felt rejuvenated by the victory, and forgave his early fumble. "I may need to lie down for a week now, but I hope to see you all again soon." With that, he stumbled off the stage to claim his prize and possibly procure a bucket. He hoped to be remembered by all that had seen him. OOC Consider me ridiculously fortunate on those rolls. Constitution Wild Card, DC20 - (22) 5 points and +2 Acrobatics on next adventure. 18 points total. Rolls for my point prizes. I've really enjoyed reading everyone's posts and I look forward to seeing more. Sindari steps up to the stage. Not used to performing in front of others, he takes a deep breath and prepares his acts. Laying out a deck of cards face up. "First I'm going to demonstrate a feat of memory. I will pick one of you from the crowd to flip all the cards over and mix them up. who wants to volunteer?" Scanning over the crowd, he sees a young girl who seems more excited than most. "You, girl, come on up here." Pointing to the girl. As the girl steps on the stage, Sindari explains "Now your gonna flip all the cards face down. Good. Now mix them up how ever you want. That's it. Perfect." From this point he has her name cards one by one as he picks the cards up and shows them to the crowd. He cringes when he get one wrong, then laughs and says "Just heck to see if you are paying attention." Then shows the final Card with a bow. Escorting the girl off stage, he walks back and jumps on the table and says "Next, I will show you a feat of juggling unlike any you have seen before." With that he produces Three small balls and begins to juggle. As he is juggling he says "Now juggling three balls in hard, but not amazing. Four now..." Now he sends to his Familiar Scratch and an Owl swoops in and drops another ball in the mix. "that gets harder." Two more times the owl swoops in and 2 more balls enter the circle. As he circles the balls he says "Now unfortunately I have never been able to stop without dropping the balls so I will have to think of something else." Concentrating he causes the balls to burst into flame one by one until they burn out. As Scratch lands on his shoulder he bows. Next he pulls a rapier out from under table beginning the weakest of his acts. "Now don't try this next stunt yourselves." With that he takes the sword and starts to slowly swallow the blade. After a second he pulls the rapier out with a slight gag, and bows with tears in his eyes. "Now for my final display, tying a cherry stem with my tongue in under thirty seconds." Fairly confident in his ability to do this he pops the stem in his mouth and immediately begins to choke. Not to let this cherry stem beat him he works it for about 5 minutes and finally pulls it out in a knot and bows. Last edited by RedWolfe77; 02-11-2019 at 02:53 PM. His first attempt on stage didn't go as planned. As Arrass quickly found out, his talent was not well developed. As he stood on stage trying to belt out what the crowd would try to interperate as a whimsical melody of love and loss, Arrass felt the eyes of the patrons pierce his soul. He couldn't carry a tune, his lyrics were poorly timed and his voice scratchy. As the embarrasment washed over the charismatic "Singer" he thought 'Onto the next' feeling his pride take a huge hit for the half elf who was generally well equipped and skillful in most things. "For my next show, I'll need the help from you sir" he points to the keeper of the establishment. "Some coals from your stove, and set them here upon the dirt floor" The eyes of the proprietor lit up. Unknown if it was for fear or excitement, he rushed off and returned with a pale of hot coals, dumping them and spreading them across the floor. "Now watch as I cross the threshold un scathed" bolsters Arrass, entirely consumed by proving his worth in the show and redeeming his prior engagement. Unfortunately for Arrass, he was not well suited for a date with the fiery hot coals, and for a quick instance felt the burning flesh of his nimble feet peel away from his bones. 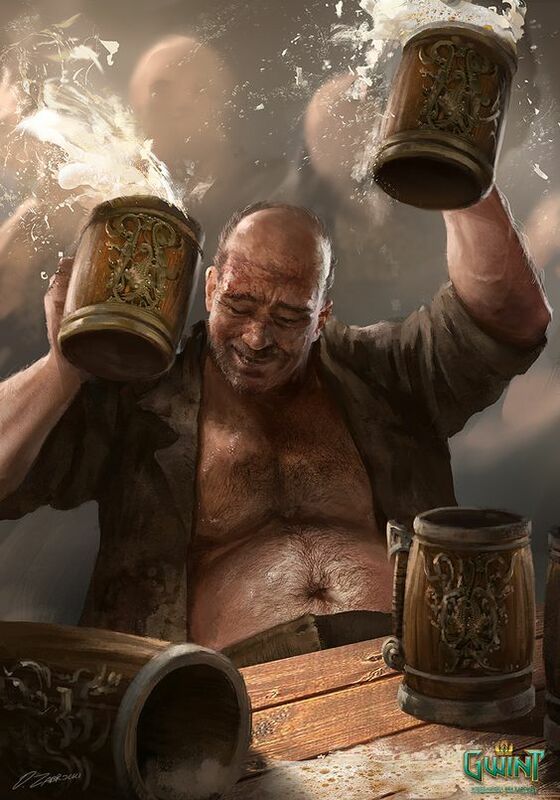 He rushes to a near by table, grabs a drink and douses his feet in hearty ale. Another unsuscessful attempt. Frustrated, and looking to right his wronged and misshapen talent debut, he now looks to set the lime light of embarrassment on another poor soul and calls forth to the crowd. "A challenger, i need a challenger, someone of stock who dares best me in a bout of strength" He gets a few raised brows from the patrons as they all look upon the mildly dainty half elf, a race not known for their extreme fortitude. Yet again, Arrass is let down by none other than himself as a female, of equal size and stock sets him in his place in what was to be a win in an easy arm wrestling match. The women graciously slams his forearm down upon the table, a loud thud rings across and echos in the tavern. The warlock yet again, puts his tail between his legs. With one last opportunity to woo the crowd Arrass embarks on an unusual adventure. "I will gather all your names, every single one of you, and recite them back to you. not only will I be able to recite them to you with the utmost of accuracy, but i will do so by pronouncing your names in reverse" As confident as he was, and as hopeful as he was, Arrass could not believe the words in which just escaped his mouth. He had shocked himself. As the patrons each started one by one feeding Arrass the information he required, there was nothing the Hexblade could do to retain the information. His mind went blank, his eyes glazed over and the poor poor half elf, so confident in his abilities to start, wasnt able to get a single word out as the crowd waited for his answers. 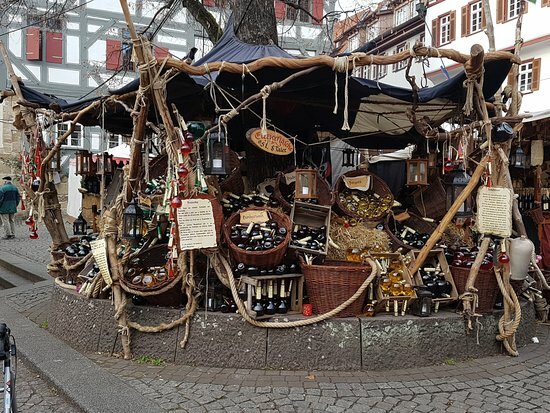 Embarrassed as could be Arrass makes his way to the back of the tavern, grabs the largest bottle of fruitful wine in which he could obtain and proceeds to pull his cloak over his head whilst sitting in the darkest corner of the tavern. With an ego literally punctured and deflated by his own doing he very anxiously goes about sipping his wine in complete silence as the other performers make their way onto the stage. The bustling crowds we a fine place to demonstrate a few little skills. Some acts of wonder with which to draw the future little mercenaries to his banner. Brandt waited patiently for the current performer to exit the stage, then bounded up. "Ladies and Gentlemen, for you today a special treat! The leader of the Raven's Claw, world-famous mercenaries, here to show you but a simple trick." As he speaks he flips one of his daggers up in the air. Unfortunately, his antics fail to impress. He quickly switches to something he hopes will be more impressive. Collecting his daggers, the edges blunted for show rather than for use, Brandt takes them by the blade. "One, two!" He stops prior to the next number, making an attempt to rile the crowd. "Now count with me. One! Two! Three!" on Three, he slams the hilts of the daggers together, neatly sleeving the spares and holding up a single dagger. "And they've disappeared!" Shaking his head, Brandt drops off the platform. tough crowd. Making his way around the crowd, Brandt next pulls a tome from his pack, thick with parchment. "Now, in this wondrous feat of strength, I will rip this in two with my bare hands!" Taking the pages in one hand, Brandt shows that there is nothing up his sleeves... forgetting about the daggers contained therein. None the less, he firmly places his other hand on the opposing side of the tome and tears. Lastly, Brandt walks around the crowd. Pausing briefly in front of each person he states a number asking them to remember. After 15-20 people, Brandt calls out: Those with numbers, they are your weight! I've guessed based upon how many sacks of beans I might allocate to a person of your size while in the field! While his numbers are surprisingly accurate, some people are not happy with being measured by the bag of bean. The half-drow paladin strides onto the stage as soon as the previous performer gets down, supremely confident of himself. There were no talent gauntlets back where he came from, not even country fairs. There were no festivals of any kind, at least none that didn't involve the shedding of blood and some sort of elven sacrifice. So it came as a pleasant surprise to Samdruil, after doing a cursory reading of the rules and requirements to have a venue where he can showcase his abilities to a crowd of adoring fans. It also didn't help that minutes ago he had just been neck deep in ale, drowning the fatigue and adrenaline carried over from his excursions out in the wild lands beyond the marches. With a swaying walk but beaming face and booming slurred voice, Sam addresses the audience. "Greetingsh! I am Shamdruil Vashtrom, killer of wolvesh, rescuer of orphunsh! Witnessh my, uh...! I will finissh all the wild card eventsh tonight! Ha HAAH!" His focus wavers from the people below to the table set before him, where there lay a solitary cherry nut. The paladin picks it up with a drunken flourish, showing it around to those nearest the stage. It was obvious to them that the nut was hollow, but Sam being inebriated, seemed to have failed to note this little detail. "Witnessh ash I break thish big, shtrong cherry nut with eash! Hahaha-oOOW!" With a loud crack, the nut practically bursts between his fingers, and several splinters of cherry seed embed themselves into the half-elf's flesh. "Owowowow, that hurt- But HAHAGH! What shtrength! What, no applaush? Fear not! Next, I shall dishplay my formidable memory shkills! It ish how we reshcued that old dwarf after all, thanksh to my navigational abilitiesh... Where did they- Ah! Over here on the table are shome metal cupsh! In one of theesh cupsh is a ball... I will then mix and mutch them up like -hic!- so..."
With surprising speed and precision, Sam slides each of the cups mouth-side down along the table; this went on for about two minutes with some jarring pauses in between for the drunk paladin to hiccup. After he was done, however, not even the most observant person was able to follow or trace where the ball could be. "And now... I preshent to you... the -uh?" As Sam lifts the center cup, he notices that the ball was not revealed in the space he had thought. At this, most of the crowd started laughing, thinking it was all part of the act. "Ah, I meant, thish one!" Again he lifts one of the steel cups, this time the one on the far right. No ball. The crowd starts booing faintly, while some still clap politely and only the slowest keep expecting something clever to happen. Sam was ready to move on. "Wait! Next I shull tie the knot... in fifteen shecundsh!" Samdruil quickly snags his prop from the table, showing it to the still-booing audience before popping it in his mouth. Five seconds on he winces and cries out as spatters of blood spill out from his mouth, having bit his tongue. The cherry stem drops onto the ground below him, steeped in saliva and blood. "Blashted- Aaaah! Wait wait wait, I have one more!" By this time, the boos and rude gestures from the crowd have gotten so loud, more and more people passing by were looking on and stopping to check what all the fuss was about. Sam remained on task, dragging out a small rotating stool from back stage. "For my finuhl an' greatesht act! I will stand on thish here shtool and shpin 100 times! Besht get yur betsh ready, folksh!" The half-drow paladin gets on the stool, taking him quite some considerable time balancing himself. The booing was so loud now that one could barely hear even the shouted conversations going on below among the audience, like "Who is this guy again?" or "This is the best one yet! I've never laughed so much in my life!". Then, with one leg raised for momentum, Sam started spinning. It was beautiful. Magical, one might even say. Gone were the previous failures from moments before. One could even forget that Sam was actually above legal-level drunk as he was doing this act, for so graceful and steady was his spinning. The booing stopped after fifteen spins. After twenty-five, even the side comments and conversation stopped. All eyes were fixed on Sam. Forty spins. Forty five. Fifty. It looked like he was going to finish strong. At around seventy spins, just as more and more people were beginning the cheers and whoops in support of the paladin, Sam's form suddenly lurches as he drops onto the spinning stool and proceeds to empty his gut onto the stage. All thirty-five pints of ale that he had consumed two hours prior to the gauntlet spilled onto the wooden platform, dripping over the edge and dampening the soft earth where the crowd was seated. Soon more cries of "BOOOOOOO!" ensued, as well as a significant number of "Ewwwwwww..."
To this day, Sam has zero recollection of this ever happening. If one would ask him about it, he would reply to one's face that definitely does NOT know what one was talking about. OOC Had some fun with the RP since the rolls were horrible. Moral of the story: don't go for three wild cards on the same go! Last edited by Zwingli; 02-13-2019 at 01:21 AM. OOC A couple of additions not to the rules per se, but to the general information on the event. 1. If you have a character that is currently on adventure you may participate with them in the Gauntlet using your current ability mods. However any prizes and boosts will count towards your next adventure. 2. We can't have the event running forever. So I'm setting the final date as the 28th of February. If there is still interest when the due date approaches, it might get extended for another week. I'm enjoying the performances! Keep up the good work! Updated to link my rolls and name my competitions! Aurdur strides onto the stage, the same fierce pluck in his step as when he treads the battlefield. His perennially inscrutable face is marred though, his silver eyes darting about the crowd, the corners of his mouth slightly downturned as though agitated. Perhaps betraying some anxiety in his heart? With a curt bow Aurdur launches into a strange and powerful dance(think a cross between Maori Hakka and Russian Folk Dancing). Stomping his feet at intervals, beating his hands upon his chest and legs to create a rhythm not unlike war drums. Surging forward with arms inviting challenge or raised in triumph and supplication to the gods. He bounds here and there with perfect timing and dexterity, all the while singing what can only be described as a warlike dirge of sorts; Quite different from his previous song with it’s guttural tone and harsh shouts. With a final great leap he lands at the forefront of the stage and bellows a feral roar. As foreign and strange as the performance was to many, all could not help be impressed by the emotion it conjured and the physicality with which it was performed. More flowers(and strangely, more undergarments). “That was a classic war dance of my people.” He says once silence again falls. Moving now to the side of the stage Aurdur withdraws something wrapped in beautiful parchment tied with a bow. Unsealing it with a flourish the audience gasps when they see that it is….a sausage? Murmuring and a bit of laughter ensues, but the previous performances have the audience respecting the stranger and expecting greatness. He holds the meat aloft with reverence, displaying it before all. Then he begins to spin, much like a discuss thrower. His muscles tense and bulge, he looses a fierce grunt, and he hurls the sausage straight up! Perhaps he had grown overconfident from his smashing successes earlier, perhaps it was the extra paprika in the sausage, whatever the reason the throw is flawed and the sausage barely rises 6 feet before flopping flaccidly into the crowd with a pitiful and barely-audible thud. Scattered polite clapping follows, and more than a few snickers. Aurdur, clearly embarrassed, seems to think that describing the cultural meaning of the sausage toss is not worth mentioning. Aurdur rolled 24,20,9, and 11 respectively for a total of 10 points. He will roll for one item in the "10 point" category. Last edited by InveterateToad; 02-15-2019 at 03:13 PM. A talent show, the sorcerer thought, nearly scoffing aloud at the idea. It reminded him of the roaming gypsies from back home. Every year they would show up with their patchy, bright colored tents and setup just outside town. Without fail, people would flock to the tents to see all manner of acts from death defying to comedic. I suppose it could at least provide a bit of entertainment, away from the wilds for a bit, Victor shrugged, taking his parchment. At first he just watched as others performed, some exceedingly well, others.. not so well. But everyone seemed to be having fun. He read over the rules again and thought about what he might be good at. After all, it was very little investment of his time or abilities for some prizes. Eventually, he returned to the registration table. "I would like to enter the Talent gauntlet," he stated as a matter of fact. The woman at the table laughed, "'O course ye would! Well, who are ye then? Whatsur talents?" "Umm, right. I am Victor Alvera and I am pretty good at telling jokes and making the audience laugh. I also love pies. In fact I am pretty sure I can eat a pie faster than anyone else here. When it comes to counting things quickly, I've been told I'm a savant. And finally, I'm pretty flexible and good at balancing, but I need a partner for that one," he replied. "Mhmm, mhmm, good," the woman said, jotting down his notes. "You'll have to provide your own partner for the last act of course, and we'll find someone, or maybe a few people, to see if they can keep up with your legendary pie eating skills. OK, off you go then, wait until your name is called." Victor nodded his understanding to the stipulations before thanking the woman and heading toward the waiting area. It's a good thing I didn't eat anything else today, should make this eating contest easier, he thought briefly as he was coming up with a routine for his comedy. "Next up is Victor Alvera! Come on up," the announcer shouted.The half-elf took a deep breath then walked up on the stage. "Hello everyone," he called out to the crowd. *chirp chirp* Great.. crickets, this is going to be hard. Clearing his throat he continued, "A man walks into an inn and orders a shot and a glass of water. Bartender says 'You can bring your pony in here'. The man replies, "He's not a pony, but he is a little hoarse."" A few snickers are heard around the crowd, but nothing outrageous. "Not interested in puns I see. Ok, a while back I was sailing across a sea. I was just sitting down to eat with some of the other passengers. When the food arrived it was fish and lemons for the third day in a row. I looked to the guy next to me and said "What's the deal with sea food?" He replied, "I don't know about you, but when I see food, I eat it."" The audience started to warm up a bit, attention was turning from idle conversations to chuckles. All eyes were turning to watch Victor as he delivered joke after joke. "And don't even get me started on taxes..." By the end of his show, the entire audience was nearly rolling in the isles they were laughing so hard. "Thank you, you've been a terrific audience!" A few hours later, several other acts had their chance on stage while cooks had whipped up some seasonal fruit pies. The announcer walked up on stage again, this time with several assistants who brought tables, chairs and ten pies. "And now, a spectacular display of intestinal fortitude. These hungry contestants will battle it out to see who can devour their pie the fastest. And remember, you must eat the entire pie using only your mouth; no hands or magical assistance. Come on up!" Alright, Victor thought, Time for another stunning display of my skills. He sat at the table, a half orc to his left and a gnome to his right. Several other races were representing as well ranging from tall to short, fat to skinny. Everyone was there to prove they had the better skills when it came to eating. But the sorcerer wasn't worried, nobody could love pie as much as he did, right? "Ready? GO," shouted the announcer. Instantly, Victor buried his face in the middle of the pie, chomping and slurping the delicious berries and the sweet golden crust into his mouth as fast as he could. There was no time to look around, he had to focus. But the pie was so good, almost the best he had ever had. Without even realizing it, he had slowed down and started to savor the flavor. The crowd was shouting a name, but it wasn't his. Could it be he was losing? The he heard a clang as two fists pounded the table; two tiny but powerful fists. "We have a winner! But who will finish next? Top four receive points," the announcer shouted. AH! I have to hurry, the half-elf thought, looking back down to his pie. Only half gone? Now or never, he thought. With renewed vigor he dove back into his pie, but no more than two bites in another clang, then another. Oh no, no no no!! He ferociously attacked the pie, the seconds ticked by, no others had finished yet. With the last bite in his mouth, he looked left and right, he tried to swallow and choked slightly, but forced the pie to go down his throat as he slammed his fists to the table. "CONTEST OVER," shouted the announcer. "We have our winners!" Victor was quickly escorted to a riser to stand with the other winners: A gnome, a human, a half-orc and himself all stood in order as the crowd cheered. All the sorcerer could do was smile, still working to keep the pie down. The next day, Victor returned to the festival grounds. It wasn't long before someone pulled him aside and asked him if he was ready for his speed counting. "Um actually, I need a few minutes to prepare," he replied. "No time, you're on now. Go, go," the organizer said, pushing him up on stage. "Here we have a man who claims he can count anything faster than any other human being. Well, let's see how well he does. Here we have a deck of cards, but it's not your standard deck. Unknown to our friend, we have changed the number of cards. I will throw them in the air and see how quickly he can count them. Ready?" the sorcerer tried his best to count them as quickly as possible; 1-2-3-4-5-6-7-8-9.... Before the last card hit the floor he confidently shouted, "Thirty-seven!" "Correct! AMAZING, isn't he? But you all didn't come here to see just one try, right? So let's try something else. How about.... corn kernels? Yes," the announcer asked, though he had clearly already made the decision before asking the question. An assistant came up with a small bucket of dried corn and the crowd cheered. "Ok, and GO," the man shouted, tossing the corn in the air. 10-20-30-40-50.... The items were so much smaller and blended in with the other colors around the festival but still, Victor tried to concentrate. When the last kernel landed on the floor he paused for a few seconds, thinking whether he counted correctly or not. Then, with a questioning tone, he said, "Two hundred eighty-six?" "Hmm are you sure," questioned the emcee. "I think so," the half-elf replied. "No I'm sorry, there were actually two hundred thirty-two kernels." The crowd boo'd. "Hold on, hold on," the announcer called to the crowd. "It was still quite impressive; could any of you have gotten that close that quick? I know I couldn't. What do you say, should we give him one more try?" Everyone cheered again. A wave of relief rushed over the half-elf as he stood there, trying to focus, to prepare for the next round. "Ok, last round, Victor, show us what you've got," the host said. "This time, I want you to close your eyes for a moment. We'll hold this thick blanket in front of you and you will look toward the crowd. Then you can open your eyes and wait. Everyone in the crowd will be asked to hold up both hands with some number of fingers raised. Do it now, come on, everyone. No cheating," he instructed. After a moment, he had taken count of the fingers and his assistants watched to make sure nobody tried to deceive Victor at the last second. "Ok, on the count of three, we will drop the blanket for five seconds then we will lift it again and you will give us your answer. Ready? Go!" The blanket dropped, Victor began casting his eyes across rows and rows of people, numbers spun in his head faster than then he had ever tried before, then, before he knew it, the blanket was in front of his eyes again. It was all too much. He knew he didn't have the right number. There simply was not enough time. "I counted up to one hundred and twelve, but I know that isn't correct," he said, his voice muffled slightly by the blanket. "That is incorrect. Too bad, we had great expectations, didn't we audience," the announcer said. "A consolidation prize though. You are lightning fast with small numbers after all." The sorcerer bowed and said, "Thank you," before departing the stage while hearing some of the audience members mock him on his way out. Later that day, he was pulled to yet another stage for his final skill: Balance Control. "Hello all," he began. "I will need a partner for this. Anyone? You perhaps?" he asked, holding his hand out to a nearby human woman of slight build. "Will you assist me?" "No way," a well toned man near her barked. "You aren't putting your sleazy hands on my woman. But I'll see what you got." He quickly climbed to the stage and stood next to Victor. "If you drop me, you're going to be sorry." "Ok then, we have our volunteer. Let's begin. first, grasp both of my hands and place your feet in front of mine," he instructed. "Now, straighten your legs and lean back slowly until I say stop." The man did as instructed until Victor called to stop when he was at a seventy degree angle. "Now back up again." "OK, pretty easy so far. Let's try something a bit more challenging. Face away from me and give me your hands again. Then step onto the tops of my knees one at a time and lean forward." The man obliged and soon was leaning forward, seeming to defy gravity. "Keep your legs and abdomen straight. Good. Now step down slowly." "A hand for my assistant. Normally I would do more, but my partner is not with us. Instead, I will demonstrate my skill with the giant ring. One moment please, and you stay right there." Heading back stage for a moment, he retrieved a large, seven foot diameter ring he had stored there and brought it back on stage. "Now, one last favor, Mr. Assistant. Please place both feet and hands inside of this ring and try to balance with it." The man looked at his suspiciously. "I assure you, there is no trick, just give it a try and report to the audience your experience." Taking the ring, the man did as instructed but quickly lost his balance and had to catch himself by stepping off the ring. He tried a couple more times at the urging of his girlfriend and the audience, but eventually replied,"I can't do it." "That's ok," the half-elf said, taking the ring back. "I have practiced for years, so what you are about to see may seem easy, but it isn't. It takes a good deal of concentration and body control." Victor then quickly spun himself into the ring and began rolling around, twisting, spinning and circling around the stage. After a minute, he returned upright and stepped out of the ring and bowed. With heavy, panting breaths, he thanked the crowd and his assistant again. "A round of applause, please, he did wonderfully. Thank you everyone for taking the time to stop by and watch." The judges had tallied his points from all four skills. In total, he was given nine points, so he quickly went to the prize sheet. But his excitement turned to slight sadness when he realized he was just one point shy of qualifying for a second tier prize. Still, he had nine points and that would net him some very nice items as well. Victor ended up with nine points (5 for Comedy, 1 for Pie Eating, 1 for Speed Counting and 2 for Balance Control). He'll take two prizes worth 4 points each and a 10g voucher for the store. 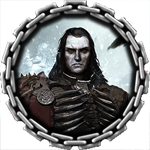 Victor rolled a 3 and a 4 to receive an Instrument of Illusions and a Rope of Mending. Last edited by ManicMonky; 02-18-2019 at 11:48 PM.